In love and romance, it is the couple’s moon signs that determine how well they will get on and if they will get their emotional needs met. In the list below, you can find out what the Moon sign compatibility is for Moon in Aquarius. Aquarius is connected to the Star tarot card. 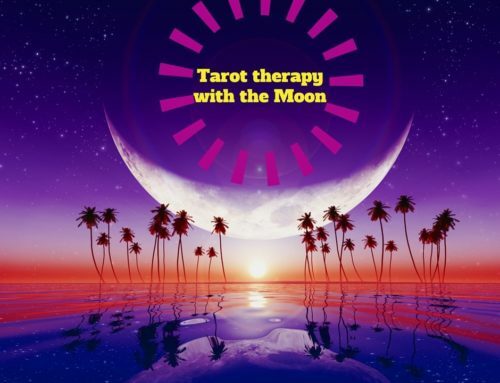 Learn about what the Star means in a tarot love reading here. Aquarius Moon with Aries Moon is a compatible union between two people who have a lot in common. They bring out unique features in each other, especially quirkiness and innovation. They are both very optimistic about their future, and when they come together, are keen on leaving their past behind them. They often realize they can have everything they always wanted and they inspire each other to be the best they can be. Aquarius Moon with Taurus Moon can be the case of two opposites who might not be able to make sense of their relationship. Aquarius Moon enjoys change while Taurus Moon enjoys routine. Aquarius Moon lives with their head in the clouds and Taurus Moon sometimes lives with their head in the sand. Their emotional needs can often be at odds and this couple could be constantly pulled in different directions. Taurus Moon can be possessive in love, while Aquarius Moon enjoys freedom in their personal relationships. At best, Taurus Moon will help Aquarius Moon be more grounded, and in return, Aquarius Moon can help Taurus Moon be more elevated. This Moon combination do tend to lock head a lot, as their ideas about reality are very different. Infidelity can also be an issue. Aquarius Moon with Gemini Moon is a great match between two people who will inspire each other to grow and learn, as well as pursuit ideas and interests. They can make good friends, and this is very important, as both needs friendship to make the relationship work. Romance is not enough. They need to have common ground, and they need to have similar beliefs and mental compatibility. Stimulating conversations and mental rapport are very important to both parties. These two tend to be very similar people and their union has a great chance to last. Aquarius Moon with Cancer Moon is a union of two people with a different perspective and outlook on life, and they might communicate very differently. Cancer Moon is all about family, while Aquarius Moon often prioritizes social problems, colleagues, friends, and charities before family, which can leave Cancer Moon feel left out. Cancer Moon is sentimental and often very attached to the past, while Aquarius Moon is looking into the future, wanting new experiences. Cancer Moon craves security while Aquarius Moon is craving individuality and freedom. On a positive, Cancer Moon can help Aquarius Moon get in touch with his/hers feelings, while Aquarius Moon can help Cancer Moon be more rebellious and gain a more objective perspective. Aquarius Moon with Leo Moon is a very compatible match, and can often lead to marriage and a big, long lasting commitment. Leo Moon will worry if they feel Aquarius Moon is not giving them special attention, as Aquarius Moon can sometimes act a bit detached. Aquarius Moon might choose to ignore or resist Leo Moon’s need to lead and dominate, which can make Leo Moon feel unappreciated. If Leo Moon can put a bit of their ego aside, and focus on the love the share and what they have in common, this union can be a very successful match. Leo Moon is often very charmed by Aquarius Moon, and Aquarius Moon knows how to keep Leo Moon interested. Aquarius Moon is also very drawn to the warmth and sunny disposition of Leo Moon. Aquarius Moon with Virgo Moon is a match between two people who are very different. Virgo Moon enjoys routine while Aquarius Moon enjoys shaking things up, especially a shake-up against convention. Virgo Moon focuses on self-improvement while Aquarius Moon focuses on social improvement. Virgo Moon likes the conventional, while Aquarius Moon is unconventional. Virgo Moon is also more introspective and practical than Aquarius Moon. Aquarius Moon tends to think of humanity rather than the individual. To camouflage their differences they can end up trying to please each other too much, which can create a draining relationship. To make this relationship work, both needs to be able to expand their perspectives and see things from the other person’s point of view. Aquarius Moon with Libra Moon is a superb mix of like-minded people who enjoy each other’s company and who seems to understand each other without even having to say a word. The challenge of this couple is to not get too stuck in their heads and not to internalize everything all the time. This can become a very airy relationship. It is almost always friendly and light, however, it is also very cerebral. Ever now and then, they must remember to get in touch with their feelings and share this with each other. Both Libra Moon and Aquarius Moon share beliefs in how people should behave and both care about social justice and human welfare. Aquarius Moon is also more emotional independent than Libra Moon. Libra Moon often has a higher emotional need that Aquarius Moon. Aquarius Moon is also more rebellious while Libra Moon is very focused on good manners and social acceptance. All in all, though, this is a very good match in love. Aquarius Moon with Scorpio Moon is two people with very different emotional needs. This can create a lot of conflict and distance between the couple. Scorpio Moon is very intense and becomes passionately attached when in love, while Aquarius Moon resists being possessed, and is very independent. Aquarius Moon can become very detached from their feelings, which makes Scorpio Moon feel unloved. When Scorpio Moon feels unloved, they often create an emotional storm to try and find out what their partner is thinking and feeling. At times, Aquarius Moon will find it very hard to understand Scorpio Moon’s intense emotions. Scorpio Moon is very private, while Aquarius Moon is very social and enjoy participating in their community. Aquarius Moon is also very open-minded and enjoys participating in various interests, and they also need to be stimulated intellectually by their partner. They enjoy sharing their ideas, while Scorpio Moon is much more closed and private. This relationship can be difficult to keep alive. Aquarius Moon with Sagittarius Moon is a very good match as both tend to have a similar outlook on life and their emotional needs tend to also be similar. Both are very independent, and they can be together without feeling restraint. Instead, they tend to support each other by adjusting easily and enjoying change and new situations. Both Sagittarius Moon and Aquarius Moon are idealistic and futuristic, and they both enjoy being out and about. None enjoy being too homebound, so this union could be lacking in intimacy and depth unless they learn to focus on their communication. Aquarius Moon with Capricorn Moon is a match between two people who emotionally tend to be miles apart. Capricorn Moon cherish tradition and they enjoy doing what they know, and they often stick to their routine. Aquarius Moon longs to break free from tradition and they love change. Capricorn Moon is conservative while Aquarius Moon is unconventional. Both ttendto be unaware of their own emotional needs, and they need to be more in touch with their feelings. At best, Aquarius Moon brightens the day of Capricorn Moon, and Capricorn Moon helps ground Aquarius Moon. At worst, they quietly drift apart, not even knowing what is happening before they are both miles apart. Aquarius Moon with Aquarius Moon is a match between two people who need to be part of something bigger than themselves. They understand each other’s need for idealism and rebellious streak. Both resist being stuck in a traditional role so this relationship tends to be unconventional. When it is good, it is really good, but equally, when it is bad, it can be very bad. It can be hard for an Aquarius Moon to acknowledge their own emotional need or struggle, as they always want to be kind and noble. In a relationship that is too intellectualize, Aquarius Moon can loose themselves and they can end up giving too much. Aquarius Moon can also be denying themselves receiving from their partner in an attempt to be the ‘perfect’ partner. Aquarius Moon with Pisces Moon is a union between two people who are rather different. Pisces Moon is passive, sensitive, and shy, while Aquarius Moon enjoys being involved in the world on a larger scale. Pisces Moon needs to withdraw on a regular basis, while Aquarius Moon needs to feel more involved and in touch with what is going on in the world. Pisces Moon is a very sensitive person with many artistic and creative ideas. Aquarius Moon interacts rationally rather than emotionally, and Pisces Moon can often find Aquarius Moon to emotionally detached. Pisces Moon is a highly psychic vibration, while Aquarius Moon is very scientific. Pisces Moon can help Aquarius Moon get more in touch with their feelings, and Aquarius Moon can help Pisces Moon have more distance to their psychic impressions. Marilyn Monroe, Britney Spears, Princess Diana, Uma Thurman, Eminem, Sandra Bullock, Bruce Willis, Russel Crowe, Ashton Kutcher, Victoria Beckham, Viggo Mortensen, Lil Wayne, Denzel Washington, Henry Cavill, James McAvoy.